The Orixas Art Hotel Flecheiras Ceara is innovatively designed to bring rustic living together with sophistication and comfort. 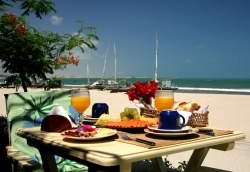 Guests are completely surrounded by works of art, paintings, and sculptures, in harmony with the native vegetation and sea breeze.This is the only hotel in Ceara that belongs to Charming Routes Association. 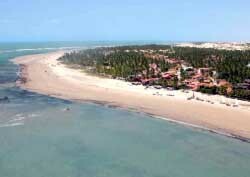 Perfectly situated by the sea, in the center of the tiny village of Flecheiras, Trairí, Ceara, Brazil. The hotel’s service system is implemented directly by the owners ensuring a commitment to the highest levels of quality and service. 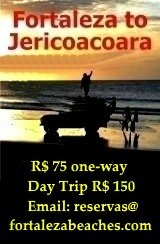 The Orixas Art Hotel Flecheiras Ceara is only 120 km from Fortaleza by paved road. The local business community and government are involved in the preservation of the environment along this magnificent beach, allowing for a dignified and prosperous future for its inhabitants, developing actions that deploy self-sustaining projects which create sources of income , without detriment to their culture, traditions and ancestral values. Babalaos-Master Suite Area 388 m2. Facilities: Safe, TV with SKY HD and DVD, wi-fi zone in the suite and common areas of the hotel. Located on the first floor has two large rooms with refrigerator, natural ventilation, two full bathrooms, large balcony, 60 meters facing the sea and a private pool. Ideal for up to four people. The Orixas Art Hotel Flecheiras Ceara includes 18 cozy and spacious suites with minibar, private pools, unique decor, TV, Internet, air conditioning and safe. More than three decades of experience the ORIXAS RESTAURANT ensures the a highest level of quality and service to it’s guests. Flecheiras, fishing village, warmed by the subequatorial Atlantic Ocean is crowned by a line of corals that form clean pools at low tide. By land, palm trees and white sand dunes interspersed with the lakes forming unique and spectacular landscapes. Oxala - Master Suite Area 165 m2. Facilities: Safety Deposit Box, TV SKY HD and DVD, wi-fi zone in the suite and common areas of the hotel. 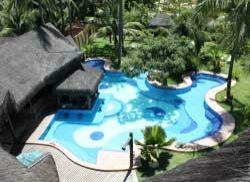 Located on the roof, completely overlooking the sea, with breathtaking panoramic view. Large suite with natural ventilation, fridge / bar, living room, balcony, sundeck, private swimming pool and showers, and gazebo. With three decades of tradition and experience in Brazilian and international cuisine, the Orixas Restaurant offers the highest level of quality and service. 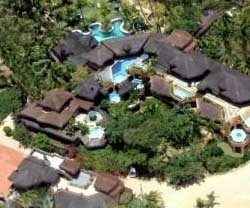 Guests can also enjoy the facilities and services of Odoya SPA during their stay. 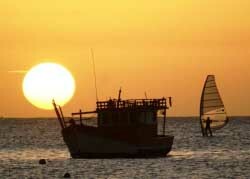 A constant breeze creates ideal conditions for sports such as sailing, kite surfing, windsurfing and others. The temperatures are between 25 to 32 degrees year round. Guests have a variety of activities to choose from including Dune Buggy and ATV day trips, catamaran rides, or just taking in the beautiful sunset. The Orixas Art Hotel Flecheiras Ceara with its unique and privileged environment is a distinguished member of the Luxury Hotel and Inn E-group. Only a 6.5 hour flight from Lisbon, and within easy reach from the United States by direct flight from Georgia. The Orixas Art Hotel is an easy trip for both Brazilians and those coming from abroad. Check promotional rates and make your reservation for the Orixas Art Hotel Flecheiras . 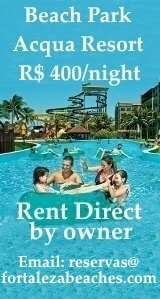 Best Rate Guaranteed. 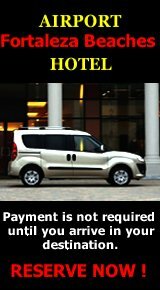 Payment by clients is directly with their chosen hotel and in accordance with that hotel’s reservation policy. The BOOKING.COM reservation service is free of charge. Best rate guaranteed. 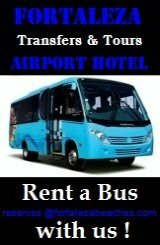 They do not charge you any booking fees, administration fees, or cancellation fees. The reservation system is secure and personal information is protected.